Six more episodes to go. I’m betting they about show the stuff here while in Season 3, they’ll show the event of the Coalition Invasion. The new strategist, I figure they do so as much. Maybe it’ll take two episodes of what enemy they’ll be facing. And of course, there might be that one episode base around the chapter special they had that was very long. That one, I look forward to see. And maybe Kyou Kai might meet the other girls from her clan or something, as some extra fillers for an episode? It could happen? So many questions, have to wait and see I guess. 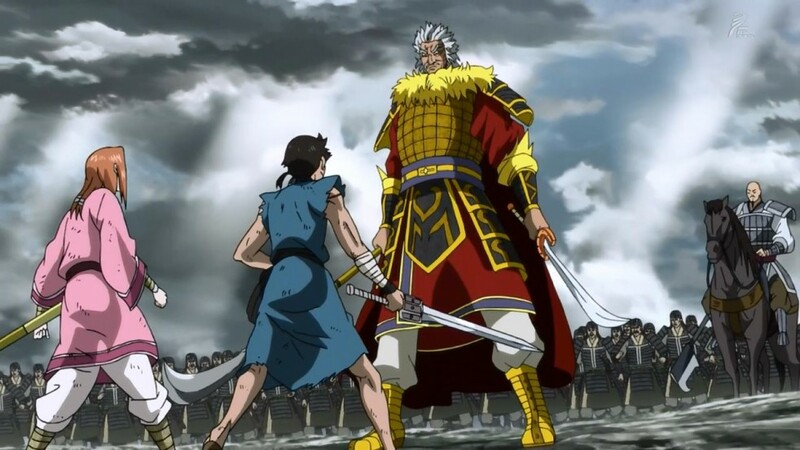 The thing is there will be alot of episodes when Shin is fighting at the wei front and alot of things leading to the coalition army phase, this will be the longest season ever if they want to fill in the whole coalition arc. All the other girls from her clan are dead though.. THANKS A LOT FOR THIS AWESOME EPISODE~~!! !